Perfection between bend a challenging, fast track straight and long, jams never happen or rare, and has a marvelous view of the course. All combinations were contained in the highway that will be displayed in this list. This beautiful road connects the place from island to island through the Florida Keys and was built in 1938. This highway over the water and within about four hours you can enjoy a beautiful view of the sea, the sunrise dan incredible sunsets if you come here at the right time. often called a “museum without walls”. This path gives a wonderful view of a row of stunning red rocks that seem to live such a charming and timeless spirit inspires everyone. 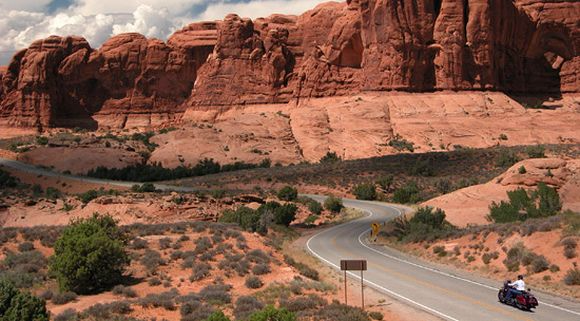 Red Rock Scenic Highway also passes through Montezuma Castle National Monument and the Coconino National Forest where each user can give way, a sense of incredible intimacy with nature. A winding road that connects the center of Japan’s Nikko and Oku-Nikko. This path consists of 48 curves and each corner has an ancient Japanese alphabet, ranging in alphabetical order from I-ro-ha which is also the origin of the provision in the street name. Iroha-Zaka actually consists of two roads, one to go down and to go up and they both have 48 curves matching the 48 letters of the ancient alphabet Japan. Truly a great bridge with great calculation anyway. 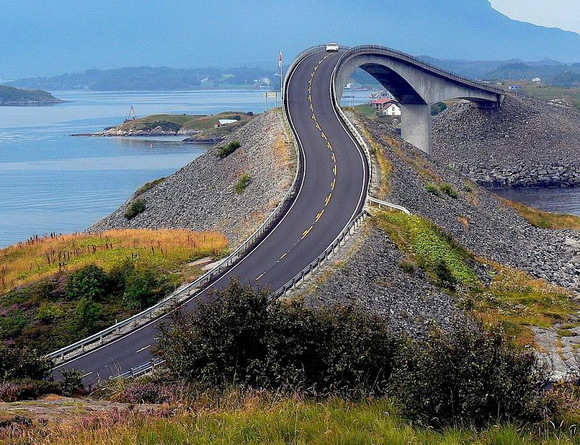 The bridge was selected as the best construction in Norway this century and it is a five-kilometer stretch of road that connects Molde and Kristiansund in the country. And spectacular way with the rise and fall of the sea at high tide. In addition to the tremendous itself, the surrounding landscape can provide a special attraction. 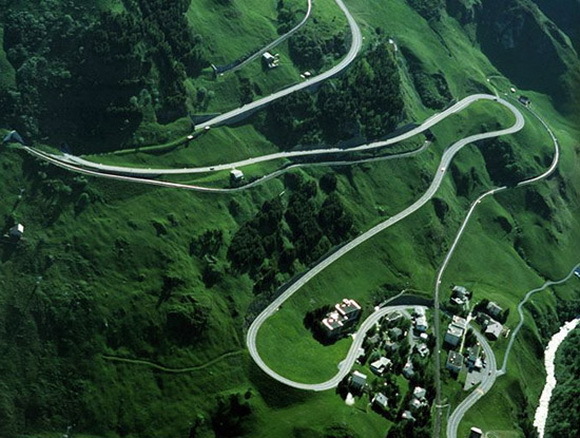 Remarkable path in the Swiss mountains which is an important road between the Central Government and the Swiss Bernese Graubünden. 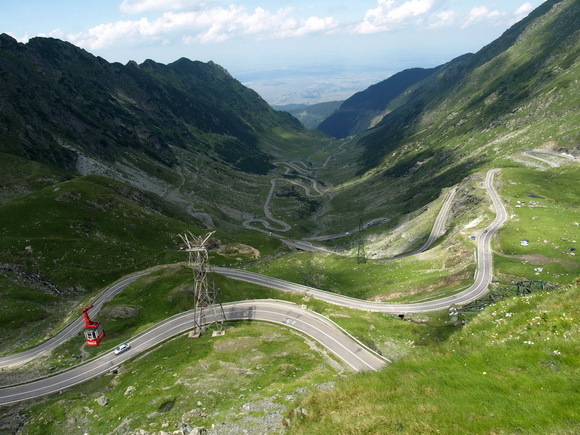 This road is very popular for all riders from Europe, but is only open during the summer. In the winter the road is closed to traffic, and the road itself is used as a ski slope, as the sled as well as hiking tracks. 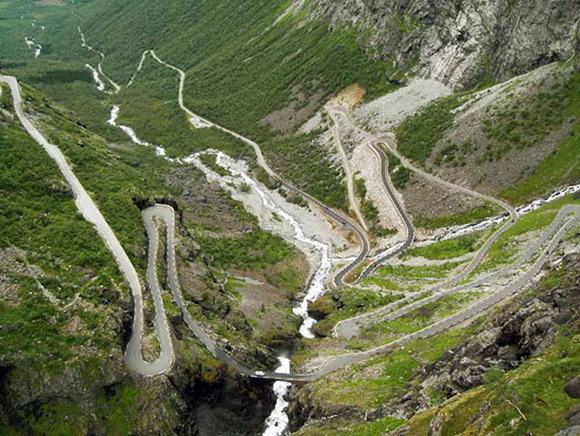 Winding and steep, that highway that crosses the mountain located in Rauma region. Trollstigen is derived from the word meaning means the Troll Ladder in English and it is a series of stunning roads with views of several waterfalls are incredible. The road is very narrow and very few possibilities for vehicles pass each other. Has a steep gradient of 9% and 11 roads were very narrow and very challenging. But it all was worth it if you get to the top where you will see from the top of the street and see this amazing waterfall Stigfossen, a waterfall with a height of 320 m which crashed into the side of a mountain. 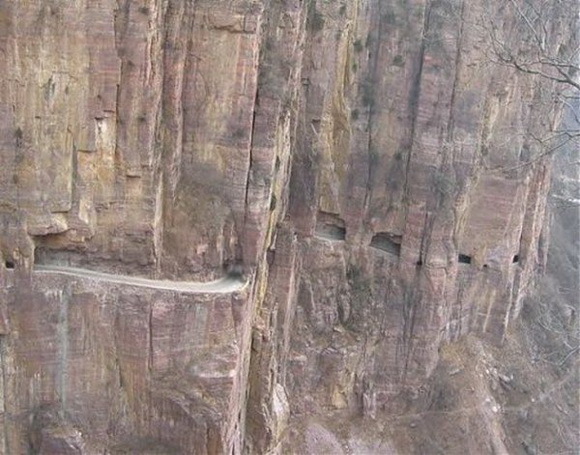 Guoliang Tunnel road built by 13 local villagers that in just five years, the location is in the Taihang mountains in China’s Hunan province. Many villagers lost their lives in accidents during the construction of this tunnel, but in 1977, the road was opened to traffic. 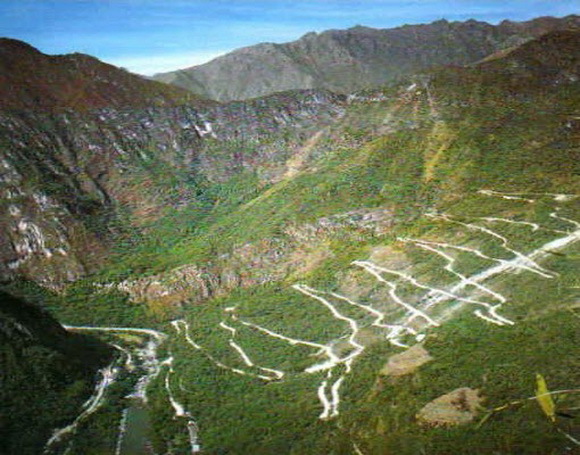 Tunnel carved out of a mountain with an altitude of 1,200 meters, has a height of 5 meters and 4 meters wide, is also one of the most dangerous roads in the world. It is a very beautiful route and dubbed “the road that does not tolerate mistakes” and the main objective on the tourist map of China. Jebel Hafeet Mountain Road in the United Arab Emirates has a length of 7.3 miles at an altitude of 1,219 m. UAE roads with beautiful scenery will desert and ended up in the parking lot with a hotel and of course the palace belonged to the state authorities. 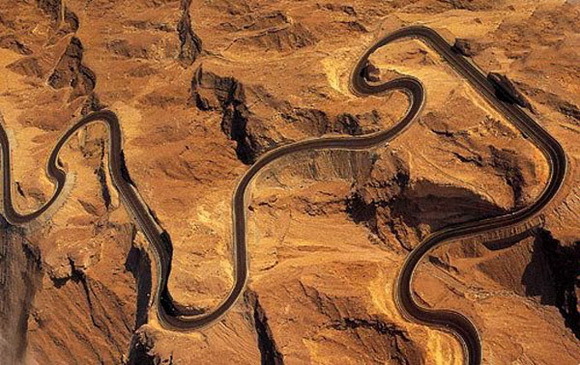 The road has a combination of a fast, straight and curves combine with each other, an amazing street in the middle of the desert.